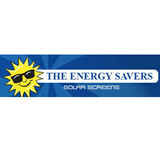 The Energy Savers Co. started in 1979 as a family owned and operated business. We are proud to say we have continued this tradition ever since. We have helped 1000's of Houston area homeowners with quality home improvements and energy savings items. 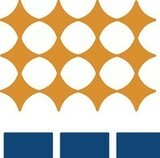 TriSMART Solar of Houston is full-service provider of affordable solar solutions. We believe that every home and business should have the opportunity to be powered by clean, reliable, and renewable solar power. Our team of experts is dedicated to delivering exceptional service and support to our customers. It is our mission to help homeowners and businesses save money, become energy independent, and go green. 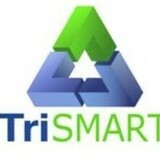 It’s what we here at TriSMART call “SMART energy for SMART people.” We’ve made going solar easier than ever before. Our full-service includes a customized design, permitting, inspection, installation, and system maintenance, all with little to no up-front costs. We guarantee our work, and only use best in business equipment and warranties. Contact us today to schedule a free consultation with one of our solar energy experts. Circular Energy is a professional solar PV design and engineering firm working to provide solar solutions to Architects, Enterprises, Homeowners and Small Businesses across the United States. We are committed to providing the highest level of service in the industry and excel at doing so because of our people--professional, honest, punctual and knowledgeable in the field of solar--and our process--simple, straightforward and handled entirely in-house. Texas Solar Outfitters provides the knowledge and tools that home and business owners need to manage expectations and make the right decisions regarding the installation of solar energy applications. After one consultation, in some cases a brief telephone conversation, we can provide enough to begin choosing the system that’s best for your property and your energy needs. We are a Houston-based Solar Provider offering you a green alternative to your electricity while saving you money every month. We walk you through every step of the way--from design to installation, permits, and paperwork, we're making the switch to solar energy as seamless as possible. SUNPRO Solar is a leading solar power provider in the Gulf Coast and Southeast region. Leading the way in providing clean, renewable energy that will not only reduce the burning of fossil fuels, but will save you money, SUNPRO Solar makes going solar easy, fun, and affordable. Born in Louisiana in 2008, SUNPRO Solar was founded as a solution in response to homeowner’s desire to reduce electricity costs for their home. Sunpro Solar began in 2008 when Founder/CEO Marc Jones, a residential and commercial Contractor, found himself in the midst of a declining housing market. “Working in the home improvement industry has always been a passion of mine,” says Marc Jones, “but when the economy is down, consumers have a desire to find ways to save money and I have a responsibility to meet those needs.” SUNPRO Solar has now expanded into Louisiana, Texas, Mississippi, Arkansas, New Mexico, and Florida. With the cost of going solar decreasing, combined with the Federal Solar Tax Credit, homeowners and businesses now have the best opportunity to make the switch to solar. Built on trust and a solid reputation of excellent customer service, SUNPRO Solar is changing the way homes are powered-one roof at a time. With a 25 year worry-free warranty, homeowner’s and businesses can rely on the sun for power backed by the strongest manufacture and service warranties. If you can afford your electric bill, you can afford solar. Start paying less for electricity today! Solar Stork helps homeowners achieve energy independece by producing their own solar power. By giving us some simple information about your home, we provide no-obligation rooftop solar consultation with up to 4 licensed installers. Homeowners can then compare these offers and check out government subsidies in their area that help cut or eliminate energy bills. We also leverage our home electricity partnerships to unlock exclusive, unpublished discounts on supplemental electricity for homes with rooftop solar. If you want to turn the tables on the big utility companies and have energy independence, just visit our website at solarstork.com and fill out the short form to get your free, no-obligation consultation. Our business is our livelihood but it is also so much more. CLI-Energy And Construction, LLC was started to fill in a void in the current market and to make a business that people can place their trust in. Over the years we have never lost our commitment to our clients and that is what has allowed us to succeed in a very competitive industry. The employees of CLI-Energy And Construction, LLC stand committed to our purpose and will provide the best service! Just Energy Solar, a division of Just Energy Group, has aligned with strategic partners to bring the best possible solar energy solution to the marketplace. Combining Just Energy Solar’s expertise in assisting customers in the energy retail space with the vast and knowledgeable installation network of its strategic partners, we form a leading team in solar engineering, design, and customer service. Along with off-grid solar, wind and hybrid energy systems that include batteries and backup generators, there are also grid-tied solar and wind operations. Grid-tied systems are attached to your Houston, TX utility company so if you produce more energy than you use, your meter goes down and you build up energy credits. Find solar energy contractors in Houston, TX on Houzz. Search the Professionals section for Houston, TX solar energy contractors or browse Houston, TX photos of completed installations and look for the solar energy contractor’s contact information.